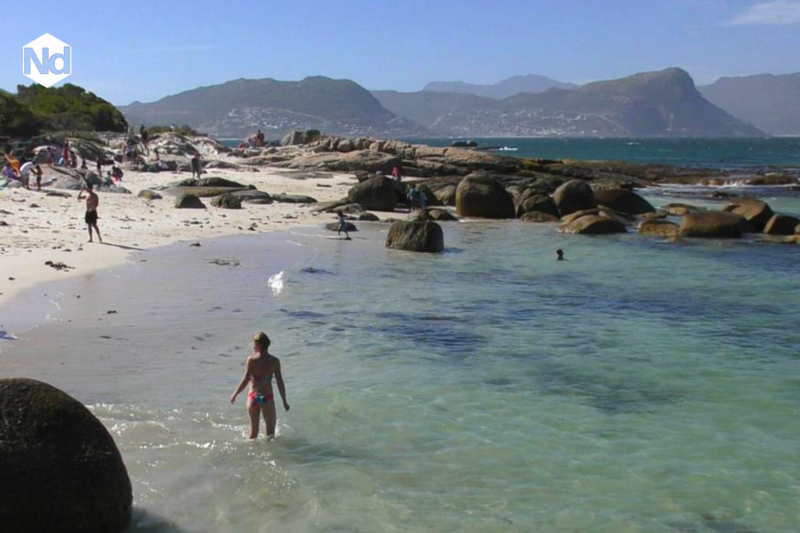 It’s summertime in Cape Town and the beaches can get extremely crowded. Even though the humblest beach in Cape Town is spectacular, if you’re sharing your beach towel with hoards of tourists, it can seriously compromise your enjoyment of the scenic beauty. However, there are some stunning beaches off the tourist radar where you can find your own little private piece of paradise even in peak season. I’ve been visiting the sundrenched shores of the Western Cape for 24 years, and after a lot of research it’s time to reveal my top 5 favourite secret beaches of Cape Town. This beach has everything. Not only is it incredibly beautiful with it’s dreamy dunes and white chalky sand, but it’s empty even at the height of season in late December. It’s wild and unspoilt and it is guaranteed to sweep you off your feet. The wind might just help you on your way to achieving that, but it is certainly one of Cape Town’s most unique and unchartered beaches. Located in the Cape Point National Park, it is very exposed and is ideal for kite and windsurfing. Off the beaten track this is a well kept local secret in Simon’s Town. An hour’s drive south-east of central Cape Town, it offers a quiet secluded bay with beautiful views of the Hottentots Holland mountain range in the distance. Unless you’d been tipped off on its existence it’s almost impossible to find. Behind an ordinary looking garden fence at the end of a paved pathway between Seaforth and Boulders beach it’s a wonderful family friendly option. If you’re really lucky then you might just spot penguins on it too. The tidal pools of the Indian Ocean suburbs of Kalk Bay are a popular attraction, but Dalebrook is beautifully quiet and hidden away in this sleepy little village. It’s a wonderfully secluded safe swimming spot that locals keep very much to themselves. The tidal pool is enclosed by man-made cement walls, and if you have fear of swimming in the ocean in and around Cape Town because of the abundance of Great White sharks then this is the place for you. Situated off Kalk Bay main road opposite Dalebrook Road, the water gets nice and warm in the summer so you really get to have nice dip rather than having to run in and run out with the icy temperatures of the water of so many of the other main beaches. Cape Town’s rugged coastline is studded with incredible beaches of outstanding natural beauty. Sandy Bay is certainly a natural wonder just a little off the beaten track but well worth the effort once you get there. It has a wide white sandy beach surrounded by granite boulders and indigenous Cape shrubland. It’s a very secluded bay and it is also a clothing optional beach! It’s easy to find by car but beware that there is a 15 minute walk to the beach once you arrive. Just drive out of Cape Town on Victoria road and follow the signs to LLandudno, then the signs down to Sandy Bay. I have to say that this is my favourite of all the secret beaches I have experienced in Cape Town. If you’d have told me that I could literally lay in warm crystal clear shallow water for hours on end I wouldn’t have believed you. I’ve been going to Cape Town for 24 years and I certainly didn’t think this possible – but it is! 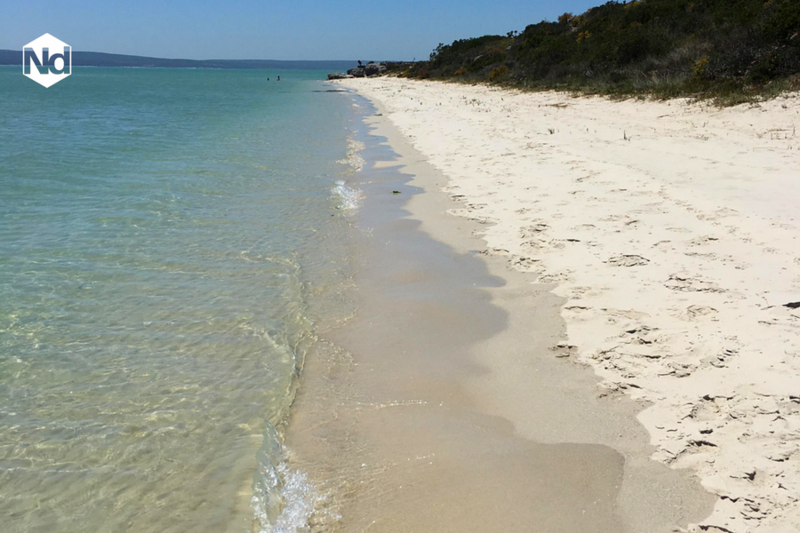 This beach is beautiful with chalky white sand that stretches for 25km along the Langebaan Lagoon. In Afrikaans Preektoel means ‘preachers pulpit’ and the rock structure that juts out from the ocean is it’s signature landmark. There is also a BBQ and picnic stop next to the lagoon for a lunchtime of early evening braai. Situated in the stunning West Coast National Park, just 90 minutes from central Cape Town you get a real taste of Africa with all the Ostriches roaming freely through the reserve. The cost of entering the park is R54 for locals and R80 for international visitors in peak season but it is well worth it.